A new Season has begun as God opened a way and a place for us to gather as one. God has opened an amazing door over the last few months. 3 years ago a handful of us met to pray at what was known as the Prayer Cottage in the lower blue mountains. This became the Fire hub and in the last 18 months we have seen Firehub's start in many new areas. 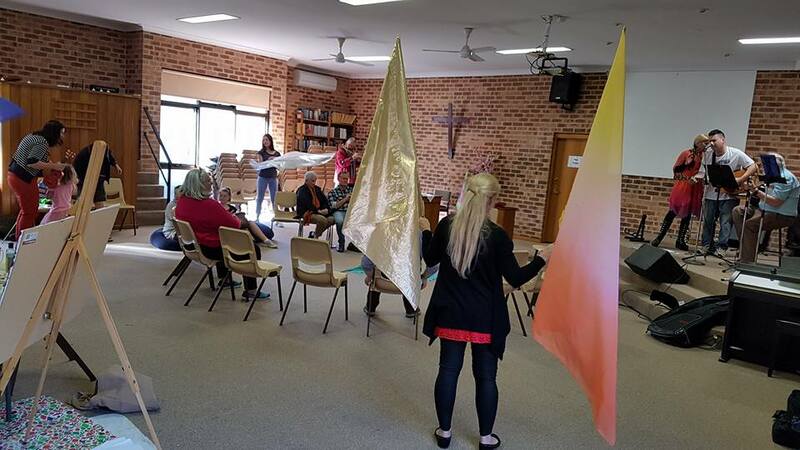 One of the expressions of the Blue Mountains Firehub was a Genfire Community that started to meet on Sundays as an expression of Church. The Community has grown over the last 2 years to the point we ran out room. Earlier this year we began discussions with one of the local churches that had expressed a desire for more united prayer. This was the Holy Spirit opening a way for us to transition. And last week was the first week meeting in the new home which is located on Layton Avenue in Blaxland. We will be making some announcements very soon about the next Mobile School/ Training & Equipping weekend.